In 15 of the last 16 NFL seasons, at least one team has gone from last place to first and won a division title. The league is designed for extreme turnover. It’s why, if we could get past the blinding hate of the New England Patriots, we should marvel at their extended success. It’s also why the Cleveland Browns’ annual incompetence is equally as stunning, though that sure seems to be changing. 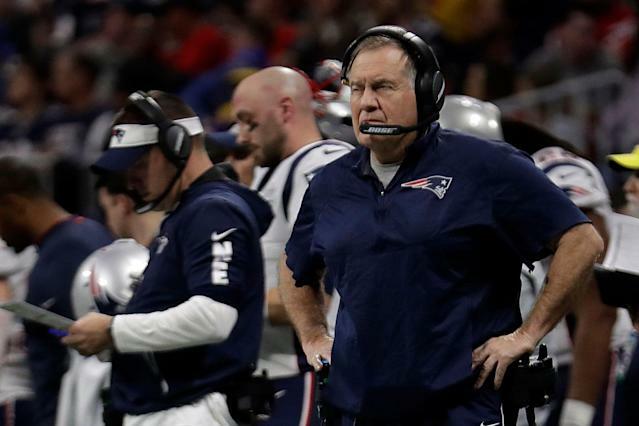 New England Patriots — The Patriots lost two of the highest-paid free agents on the market, offensive tackle Trent Brown and defensive end Trey Flowers, and also defensive tackle Malcom Brown. We know the Patriots will outsmart everyone with under-the-radar moves (the Michael Bennett trade seems to be one), but they didn’t add much. They’re pretty good at getting players later in the process, though they are also still waiting on a Rob Gronkowski retirement decision. Baltimore Ravens — By the time 24 hours had passed in the legal tampering period, the Ravens had lost four defensive starters: pass rushers Terrell Suggs and Za’Darius Smith, safety Eric Weddle and linebacker C.J. Mosley. Adding safety Earl Thomas and running back Mark Ingram clearly helps, but they still lost a lot (and watched the Browns get a lot better). Houston Texans — Two key pieces of the Texans secondary left for big money, with Kareem Jackson to the Broncos and Tyrann Mathieu to the Chiefs. They did add Tashaun Gipson and Bradley Roby to replace them, but you’d rather have Jackson and Mathieu. And they hadn’t added any much-needed offensive line help. Kansas City Chiefs — Adding safety Tyrann Mathieu was a smart move But you still need to rush the quarterback. Justin Houston was cut and Dee Ford was traded, due to a scheme change. That’s 22 sacks leaving the building. Adding defensive end Alex Okafor helps, but he’s not Houston or Ford. Dallas Cowboys — The Cowboys couldn’t come to an agreement with DeMarcus Lawrence, so they had to franchise him. That meant they really couldn’t do much else in free agency. Losing slot receiver Cole Beasley doesn’t help. Chicago Bears — Last year the Bears were big spenders, and it worked out very well. It’s tough to do that two years in a row. They were mostly quietly signing players, and losing safety Adrian Amos to Green Bay isn’t great news. They did get former Packers safety Ha Ha Clinton-Dix on a bargain deal though. New Orleans Saints — Not much gained or lost, though Mark Ingram to Latavius Murray seems to be a bit of a downgrade. Retaining Teddy Bridgewater is good, but doesn’t help a lot right now. They could use another receiver but don’t have much cap space to pull that off (we’ll see if perhaps they land tight end Jared Cook). Los Angeles Rams — The Rams couldn’t afford to hang on to guard Rodger Saffold or safety Lamarcus Joyner, and will likely lose defensive tackle Ndamukong Suh and center John Sullivan. The Rams are still good, and adding safety Eric Weddle and retaining edge rusher Dante Fowler helps, but they’re probably not better today than they were at the start of free agency. There’s time for all of those teams to improve their rosters. Although it seems like all the key free agents were spoken before free agency officially started on Wednesday, there are talented players still available. And all eight of those teams started from a good place, of course. Any of them could win another division title even with some personnel losses. But we can already see the challenges elite teams face. It happens every year, just the way the league likes it. 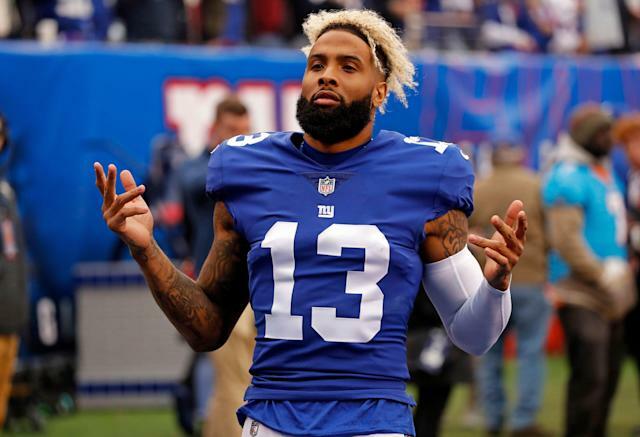 Odell Beckham: Just imagine a few years ago, saying someone moving from the Giants to the Browns was a winner. Sorry Giants fans, but Beckham landed on a team with a much brighter future. He now pairs with one of the best young quarterbacks in the game, Baker Mayfield, which is a big upgrade from the current version of Eli Manning. Beckham leaves a market that was infatuated with him; surely he won’t miss being on the back page all the time. And he goes to a city starved for a winner. If he’s a big part of any success the Browns have he’ll be a hero. If the Browns ever win a Super Bowl with Beckham, he’ll reach LeBron levels there. The Browns are the winner of the offseason, not just for what they did but for the decay of the Ravens, Steelers and Bengals. They’re the AFC North favorites. And nobody on the Browns should be happier to be a part of that ride then Beckham. Brian Gutekunst, and Aaron Rodgers as well: There are two obvious ways to help your quarterback. One is easy: Stock up on pass catchers and linemen. But building a stellar defense is a close second. It’s still strange to see the Packers being aggressive in free agency, after all the years of dormancy under Ted Thompson. New GM Gutekunst clearly believes in using free agency as one tool in roster building, which he should. And he stocked up on defense. The Packers had to improve the pass rush and did, with former Raven Za’Darius Smith and former Redskin Preston Smith. Za’Darius Smith is particularly intriguing because he can line up just about anywhere in the front seven, and is coming off an 8.5-sack season. Then for good measure, the Packers grabbed safety Adrian Amos from the division rival Bears. The Packers now can go into the draft, where they have three top 44 picks (a trade down with the Saints last year will pay off with an extra first-round pick) without any glaring needs. They could take a playmaking tight end at No. 12 overall, perhaps get help for the offensive line or continue to add to the front seven. They’re in a spot to take the best possible players that fall to them. The Packers had a bad 2018 season, but there’s still a lot of talent and, of course, Rodgers. Maybe new coach Matt LaFleur helps as well. Green Bay didn’t have the splashiest free-agent haul, but it could end up being one of the most impactful. 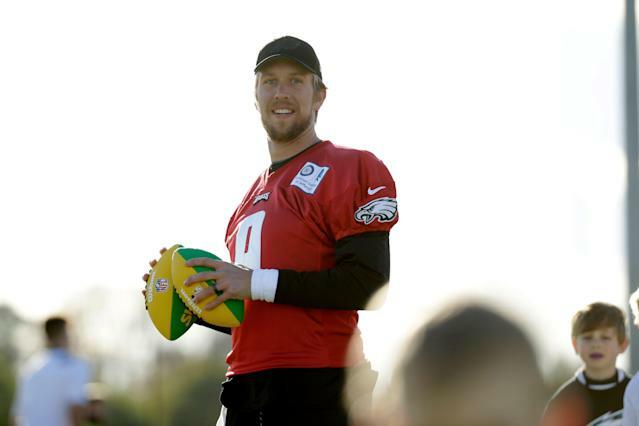 Nick Foles: Foles did pretty well, considering it’s hard to figure out who other than the Jacksonville Jaguars was bidding on him. Foles got four years, $88 million, which isn’t out of line for a starting quarterback, though it does ignore his inconsistency. But who else was bidding? The Miami Dolphins weren’t even offering enough to keep Tyrod Taylor from taking a two-year deal with the Chargers to back up Philip Rivers, or to keep Teddy Bridgewater from going back to the Saints on a one-year, $7.5 million deal. The Redskins got Case Keenum. The Giants are sticking with Eli Manning. Was there another team willing to go more than $15 million a year? Or even $10 million? And if you buy the Jaguars’ spin that they spent millions extra because they wanted players in the locker room to respect Foles ... sure. Maybe it will work out and the Jaguars will get the best of Foles over the majority of that deal. They’re going to pay a lot to find out. Safeties: When the safety market was depressed last offseason, it was odd. With the way the NFL is changing, you’d think athletic safeties that can do a little bit of everything would be in high demand. This year, that corrected itself. The Redskins gave Landon Collins, a very good player with some coverage issues, $84 million over six years. Earl Thomas, coming off a season-ending injury, was given $55 million over four years from the Ravens. Tyrann Mathieu ($42 million, three years, Chiefs), Lamarcus Joyner ($42 million, four years, Raiders), Adrian Amos ($36 million, four years, Packers) Kareem Jackson ($33 million, three years, Broncos), Kenny Vaccaro ($26 million, four years, Titans) and Tashaun Gipson ($22.6 million, three years, Texans) also got large deals. Safeties are back in demand in the NFL. Just check the money. Running backs: Yeah, this is nothing new. Running backs still aren’t getting paid. You can easily find arguments over whether Le’Veon Bell did the right thing by holding out last year. There’s nuance to his New York Jets deal that can be debated, when it comes to guaranteed money and how it compares to other backs. But a little more than $13.1 million per season isn’t what he was after. It’s also safe to assume Tevin Coleman, widely considered the second-best back in the class, wanted more than two years and $8.5 million (with incentives it can grow to $10.6 million) with no signing bonus, but NFL Media’s Tom Pelissero reported that’s the deal Coleman settled for with the 49ers. Mark Ingram actually got a decent deal considering his age and mileage, at three years and $15 million from the Ravens, but it’s still not breaking the bank. Only a few truly elite backs are going to be able to get as much as Bell going forward. Good, young backs with few miles on them like Coleman will settle for much less. The market isn’t getting any better at the running back position. Indianapolis Colts ... maybe? : There’s something to be said about not blowing money on mediocre players during the first frenzy of the free-agent signing period. There will be a lot of buyer’s remorse over the next few years. And after last year’s master class in how to rebuild a team over one offseason, Indianapolis Colts GM Chris Ballard deserves the benefit of the doubt. Still, it was shocking to see the team with the NFL’s most cap space by far be so quiet in the first week of free agency. The biggest acquisition was receiver Devin Funchess, and the best thing to say about the disappointing former Panther’s deal is that it was only one year (for up to $13 million) and the Colts aren’t stuck with him long term. For a team with more than $100 million in cap space, coming off a playoff berth, it seemed there would be more than “hey, at least they didn’t give Devin Funchess more than one year.” They did retain some key players like cornerback Pierre Desir, defensive lineman Margus Hunt and guard Mark Glowinski to reasonable deals. They just didn’t add much, despite more than $100 million in cap space coming into free agency. The NFL changes so fast. Reference that lead item on the 2018 division winners. Just because the Colts are on great footing after a fantastic 2018 draft doesn’t mean that path will remain clear. Teams often strike when the championship window is clearly open, because they don’t know how long it will be before it’s closed. The Colts were quiet, though they could have added any free agent they wanted. Or two, or three. Maybe we’ll look back and congratulate Ballard for staying above the madness. But it doesn’t make the Colts better right now. 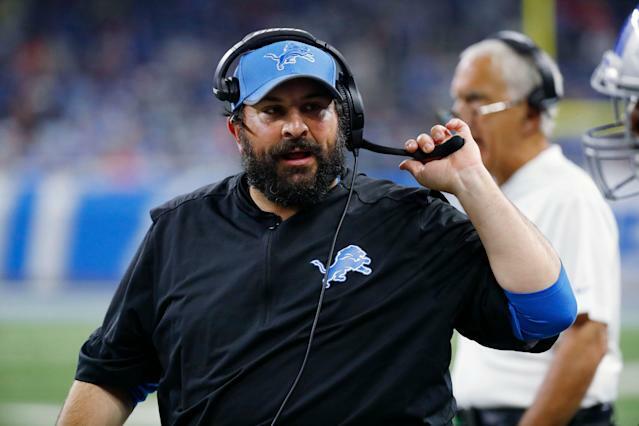 Matt Patricia: A lot has been said over the years about the track record of Bill Belichick assistants as head coaches. The tl;dr version: It’s not good. And that brings us to the 2019 Detroit Lions. The first three contracts the Lions gave out were all a bit shocking, in their own way. Receiver Danny Amendola, off a bad year with Miami, got one year and $4.5 million. Cornerback Justin Coleman, with 13 career starts, got $36 million over four years. Then defensive end Trey Flowers got a five-year, $90 million deal. His $18 million per year is tied with Odell Beckham for the fourth-highest in the NFL among all non-quarterbacks. J.J. Watt’s deal is for $16.7 million per season. And what did all of those three have in common? That’s right, they’re all former Patriots. Would Amendola have gotten a look from the Lions had he never played for the Patriots? Would Coleman, a nickel cornerback, gotten $9 million a season had he not passed through New England? Would the Lions have paid Flowers like he’s Watt had he come from the Jets, Chiefs, Chargers or wherever else? It’s a good bet the answer to all three questions is the same. Patricia isn’t the first Belichick assistant to be hypnotized by the strange allure of former New England players. He probably won’t be the last. Cincinnati Bengals: Let’s just say the Bengals’ foray into free agency didn’t get kudos on social media. The Bengals’ big move to start the week was re-signing offensive tackle Bobby Hart. Hart flamed out with the New York Giants, landed with the Bengals, and started nine games at right tackle. He was Pro Football Focus’ 69th ranked offensive tackle. There are only 64 starting offensive tackle positions in the NFL. The Bengals paid him $21 million over three years. Everyone had a good laugh. Their first outside free-agent acquisition was cornerback B.W. Webb, who is joining his sixth NFL team in six pro seasons. It’s another move that won’t impress anyone. The Bengals came into free agency with roughly $50 million in cap space. They aren’t exactly big spenders in free agency, with outside players or retaining their own, so it’s not a huge shock they basically watched the first week of free agency pass by. It might be a long year in Cincinnati.